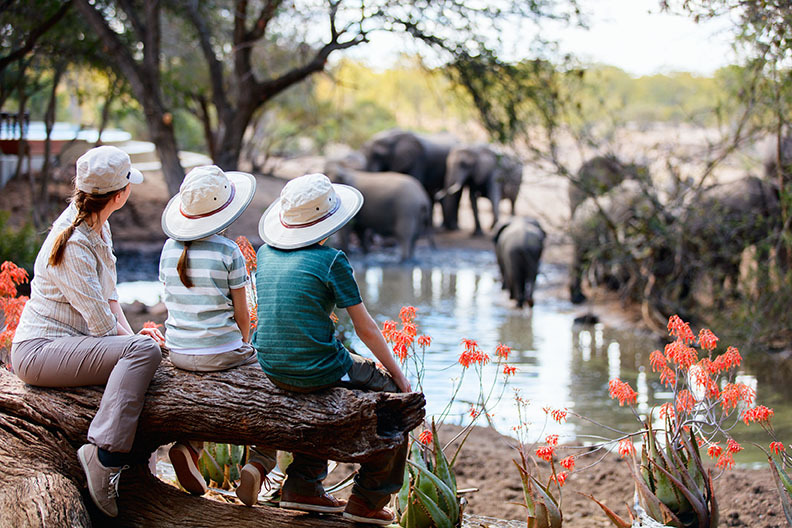 From Victoria Falls to the Kalahari Desert to the remote Selous National Park we can deliver unparalleled access to expert rangers, bush walks, river canoeing, and ecologically diverse game parks. 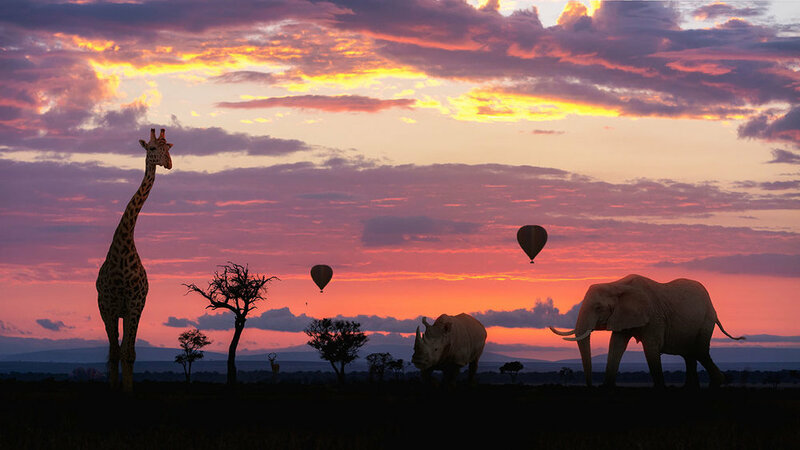 Every day on safari is a magical experience from breathtaking sunrises to a star filled sky. Wherever you go, a new adventure awaits. Whether you dream of staying in a lodge, intimate tented camps or elegant bush homes; imagine yourself waking up to an incredible sunrise. 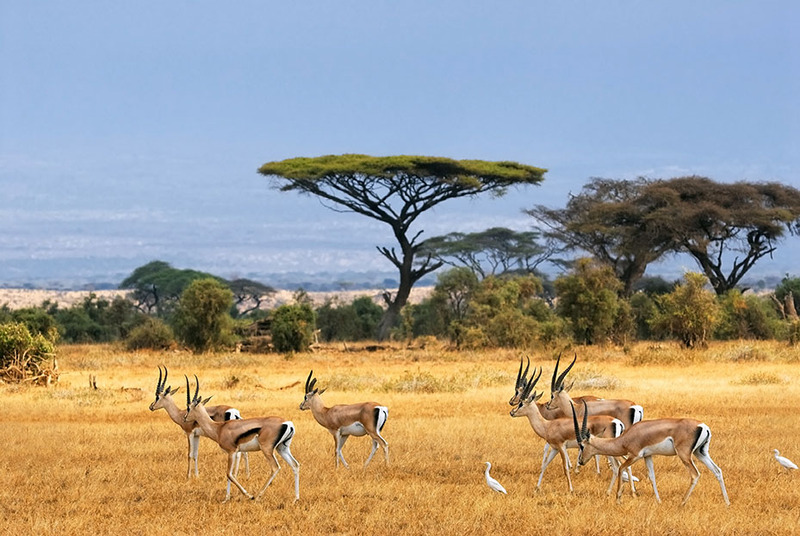 Grab your camera, hop in an all wheel drive safari vehicle and let our experts take you on an incredible journey. Soon you will be capturing images that will remind you of a trip of a lifetime. No matter what adventure you decide on, we will make sure you safari in style. We provide different types of safaris with a focus on families, culture, luxury, food & wine, romance and incredible opportunities for volunteerism. If you are looking for sustainable eco-tourism in Africa we will know the best African nations that support those initiatives. Want to expand on your safari location? We can add amazing excursions and coordinate it all. Plan to also donate your time, physical labor or expertise while on Safari? We can facilitate this for you. Not sure what type of safari is best for you. We will figure out together what suits your travel needs best. See an example itinerary below. Meet your bush pilot and take flight to your first camp in an area known for its large number of elephants, predators and diverse variety of water birds. This afternoon, board a small boat for a wildlife cruise and look out for submerging hippos and varied wildlife coming down to drink along the river. Awake with the animals as you climb into an open safari vehicle for a game drive to photograph the abundant wildlife, as they hunt, graze and simply laze. After lunch, be ready for more action on a late afternoon game drive. Upon your return, enjoy a refreshing sundowner before a starlit dinner. Get ready for some incredible aerial views as you fly over the pristine Okavango Delta. Join your ranger to explore the wetlands aboard a mokoro, a traditional dug-out canoe. Poling quietly through the wetlands and water lilies, he will point out the abundant birdlife, and perhaps a tiny reed frog. Set out for your morning game drive. Watch for the subtle familiar interaction of a herd of elephants and listen for the distinctive lion’s roar. Zoom in on the curious buffalo or catch a glimpse of a cheetah grooming her cubs. As the sun rises, watch the pixie-faced meerkats emerging from their burrows and take a walk with the Kalahari bushmen. After dinner, head out into the middle of nowhere for a 360-degree view of the stars. Grab your binoculars and get back out on the channels with your ranger to resume your wildlife viewing. Watch for the prized appearance of the Pel’s Fishing-owl, red lechwe or spotted hyena. Take flight to your camp deep into the Kalahari Desert and the boundless lunar landscape of Makgadikgadi. You’re sure to see many unique desert species. Perhaps you'll spot the rare brown hyena or bat-eared fox during game drives and walks near your camp. Enjoy a sundowner as you dine on Pan-African cuisine. Relax and enjoy this special place before flying back to Johannesburg via Maun for your onward arrangements.